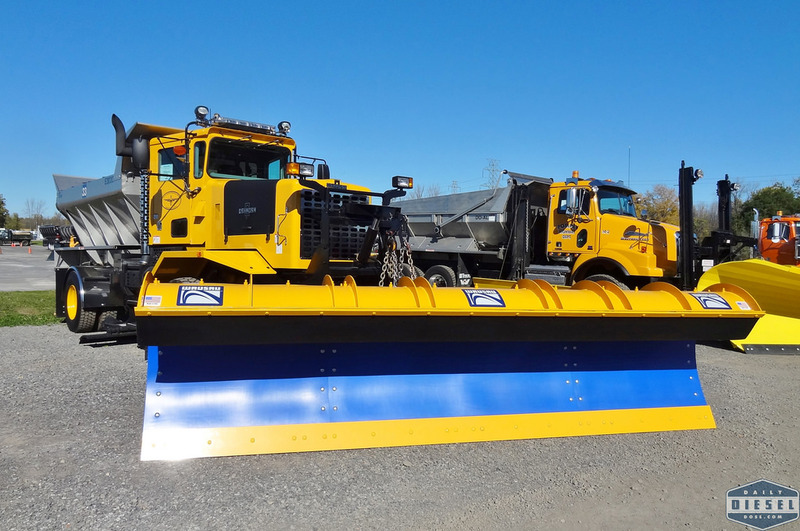 You’re about to be handed the keys to a brand new snow plow at no cost to you. 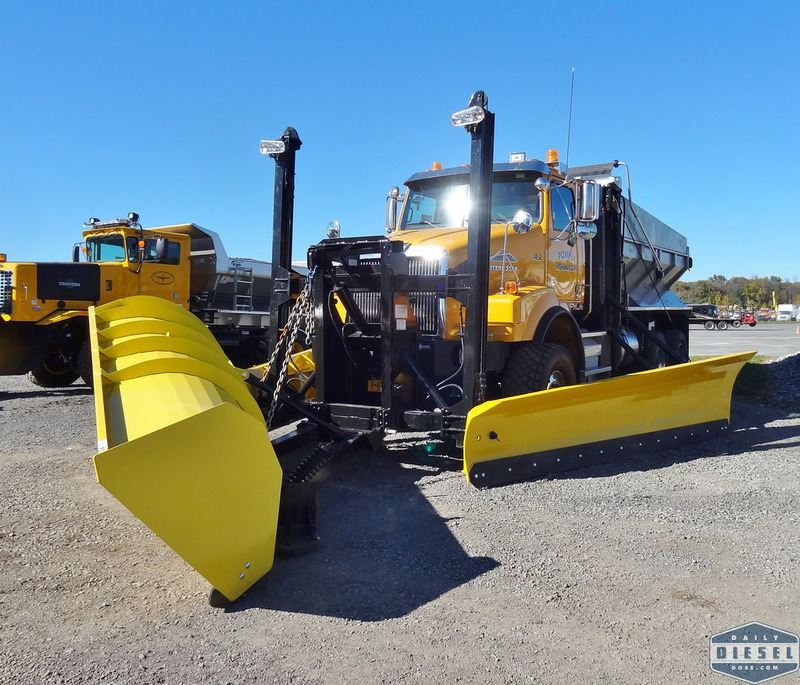 To sweeten the deal you get to choose between a 2015 Oshkosh P-Series or a 2014 Western Star 4800. Which one do you go with? To make a good decision you must have all the details. Let’s start with the Oshkosh. So, what plow do you choose? Both have big power engines, 4×4 setups, automatic transmissions, and Hi-Way spreaders. 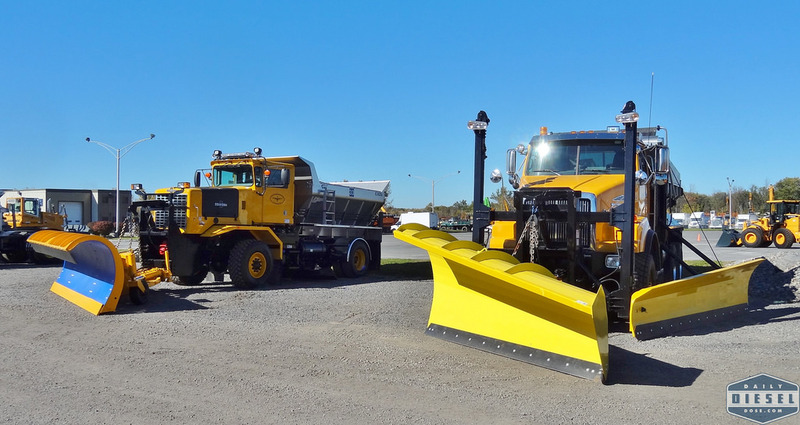 Even the plows are made by the same company. Do you wan’t a belly plow or wings? The choice is yours! Don’t worry about aging 100 years in mere seconds, unlike the Holy Grail, there is no wrong choice. 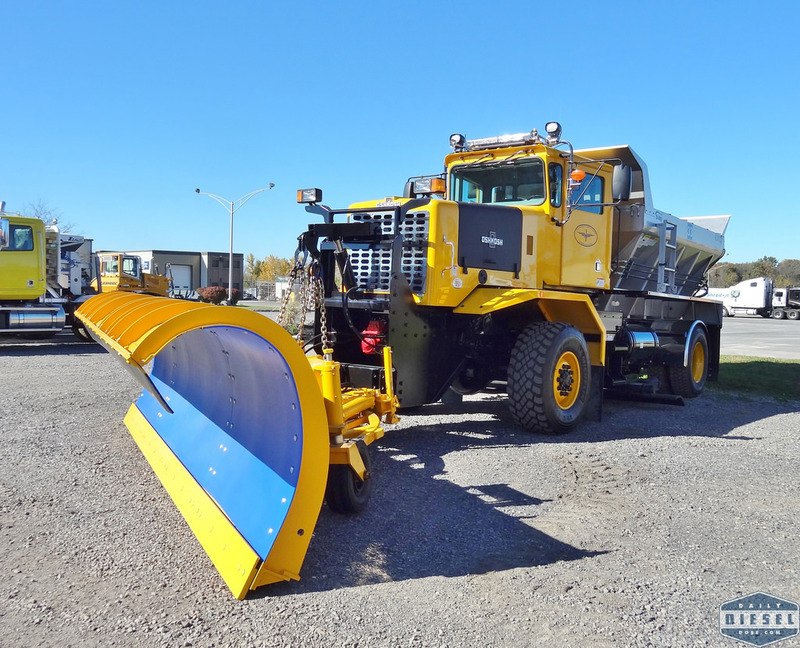 This entry was posted in Snow Plows and tagged oshkosh p-series snow plow, western star 4800sb snow plow. Bookmark the permalink. I may detest chrome on a snow plow, buy my Lord that Western Star is quite the rig!! As an old snow man, the Western for comfort (you’d get a wing man to swap off with, or should, anyways) for those nice 30 hour shifts. Looks like a good divided highway truck. But for real work, getting in tight, scraping ice, working shoulders, you’d have to take the Oshkosh. Although a 24 hour shift in that will feel like 48! I’d choose the Oshkosh any day. If you want to push snow, push it with an Oshkosh. Too bad they’re hard to come by. True, it’s rare to seem the outside of an airport nowadays. Oshkosh “The Only Real Plow Truck” I got a bunch of them. Once you plow with one you won’t plow with anything else. Built for work not operator comfort. They ride like a cinder block but will push 36″ of snow like its not even there.